Thanksgiving is only about 10 days away! I plan on giving you ideas for healthy, tasty, plant based options to keep your tastebuds happy, keep the infammation down, your waistline slimmer, energy level more stable, and satisfy both vegetarian non-veg guests alike. 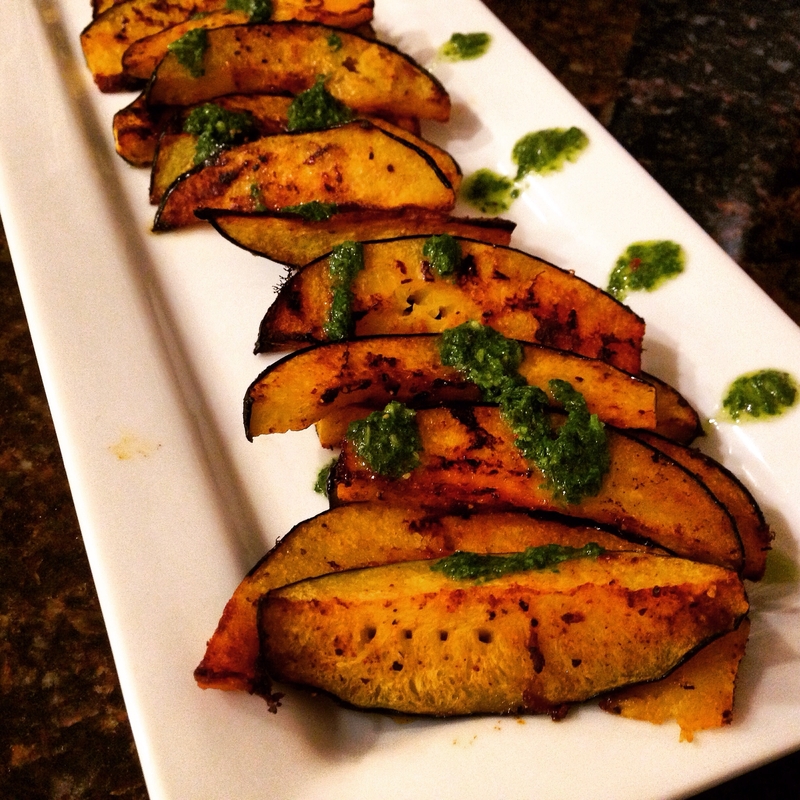 Whether you call these fries or wedges or use them in as your next taco filling, these roasted, sweet, smoky acorn squash slices with tangy herby chimichurri are seasonal with a festive flair. 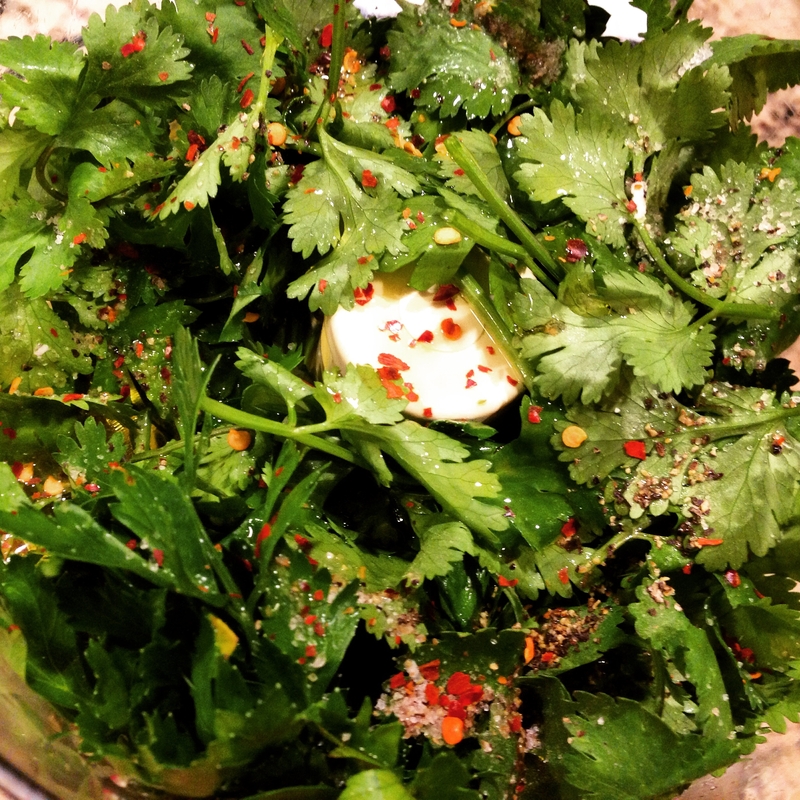 I used an entire bunch of parsley and quite a bit of cilantro my chimichurri and made it mildly spicy tart with red pepper flakes and vinegar. I opted for apple cider vinegar given all of its potential health benefits like slowing carbohydrate absorption. The result is vivid and pleasing to the eyes and your tastebuds will truly be tantalized. The light and fresh sauce is the perfect complimentary topping for the deep roasted veggies. 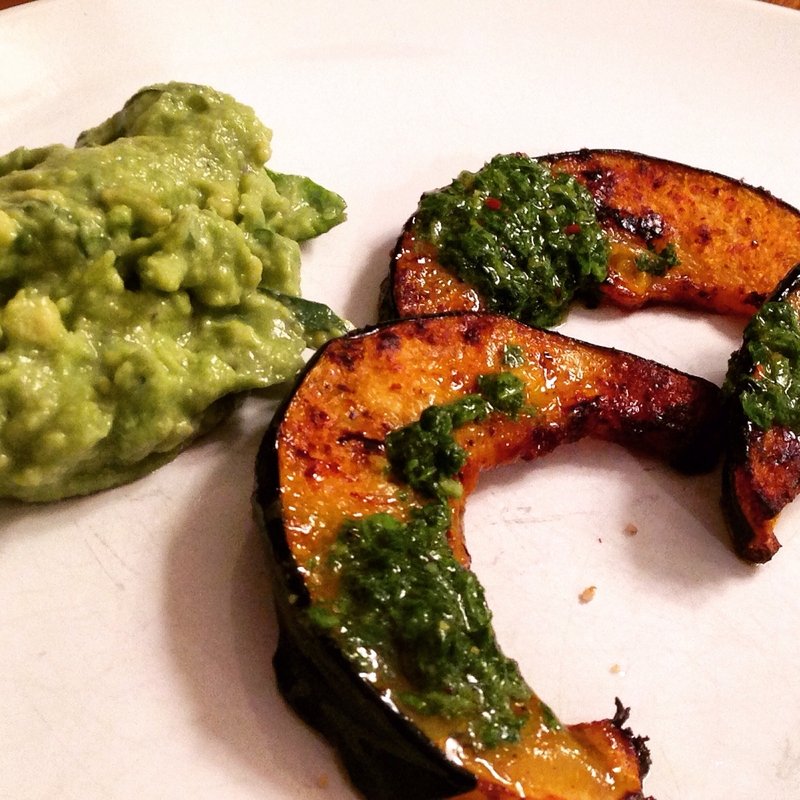 A dollop of guacamole made this a great tapas style dish too! Serves 6 as a side but lots of chimichurri leftover to use up on more roasted veggies, top soups/chili, tacos, wraps, or salads. Cutting the ends off first, slice the acorn squash in half carefully and remove seeds. Cut into 1 inch thick slices. 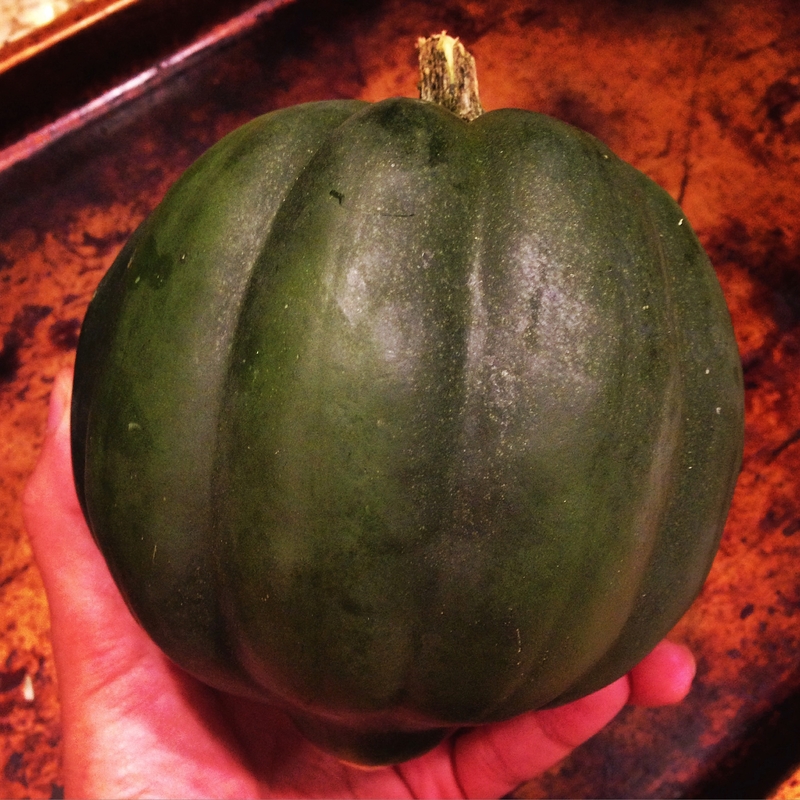 Microwave acorn squash for 2 minutes first to make it easier to cut into initially. 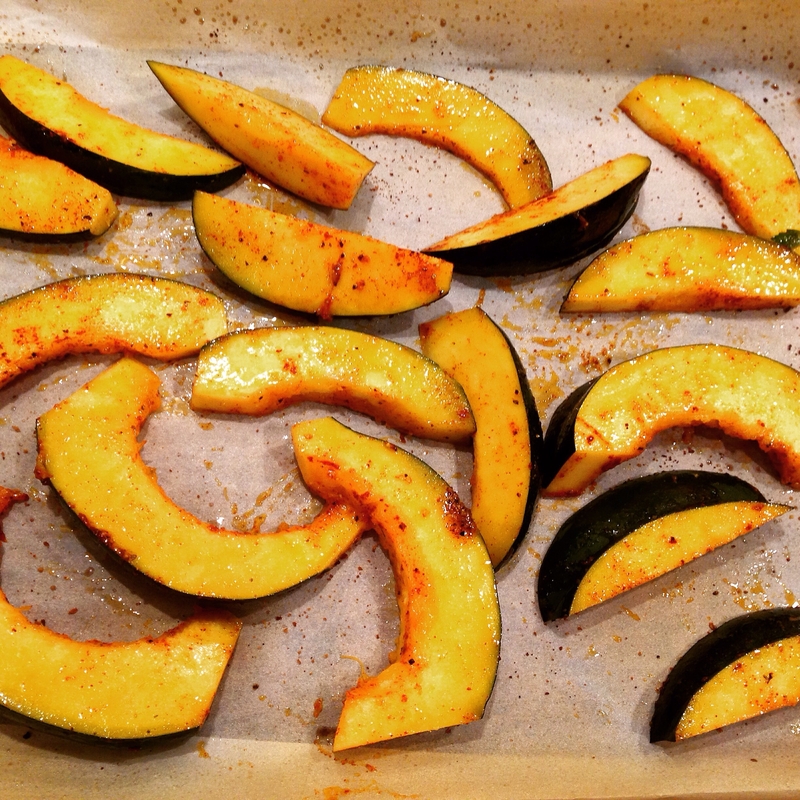 Toss slices in olive oil, paprika, salt, and pepper. Lay side by side on a parchment lined cookie sheet and bake for 25 minutes. 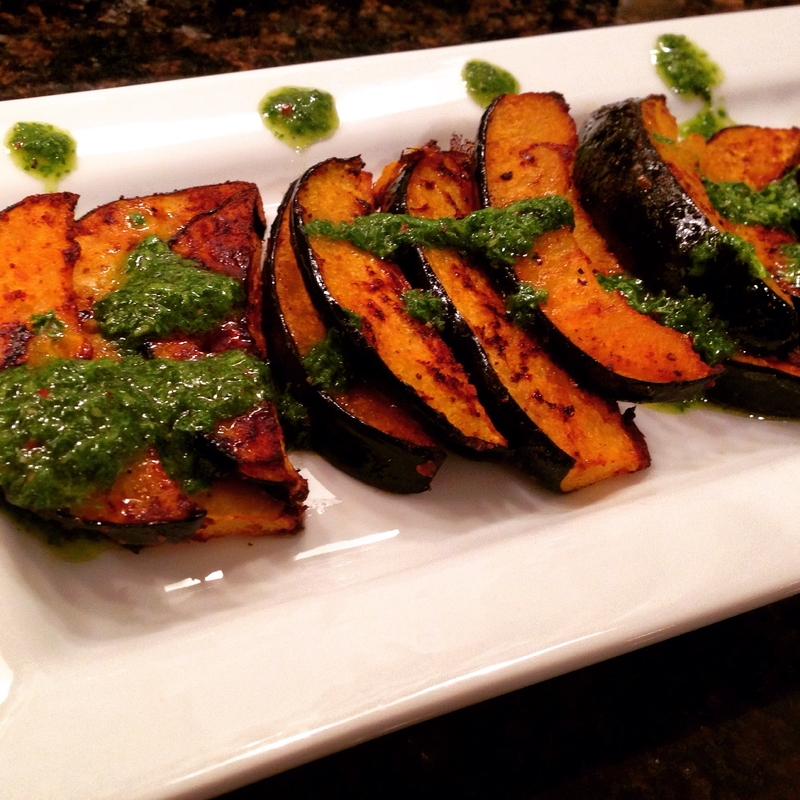 Place in a serving dish and top with chimichurri.